The Minions are back with Gru in Despicable Me 2. 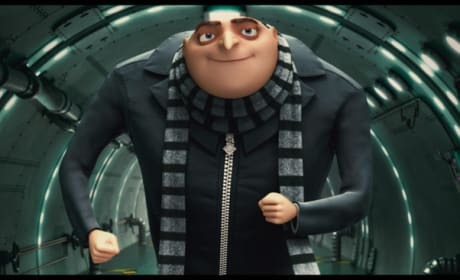 Steve Carell returns to the role of Gru in the sequel to Despicable Me. Despicable Me 2 star Steve Carell. 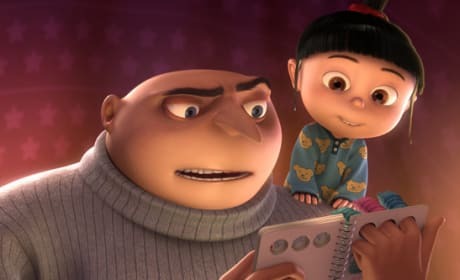 Carell is back as Gru, and yes... so are those cute little girls. 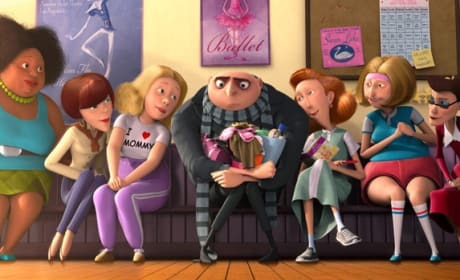 Gru unexpectedly becomes a dad to three young orphans in Despicable Me. 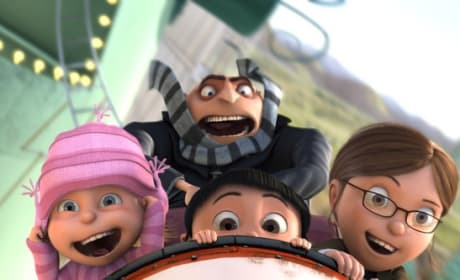 Gru and the orphans take a trip on a rollercoaster in Despicable Me. 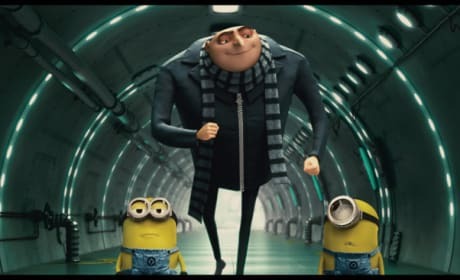 Steve Carell voices Gru in Despicable Me. The minions notice something different about Gru. 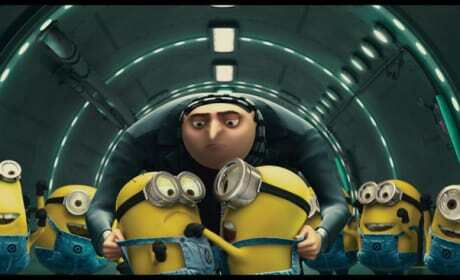 Gru and his lovable little yellow minions. 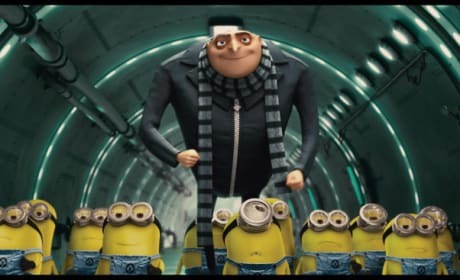 Gru ushers his minions through his underground lair. 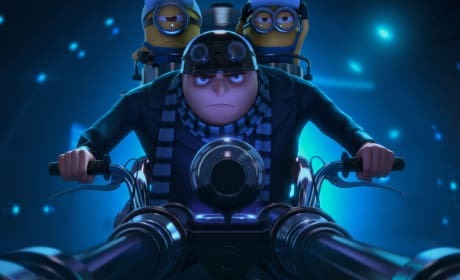 Gru and his minions in an action-packed scene from Despicable Me. 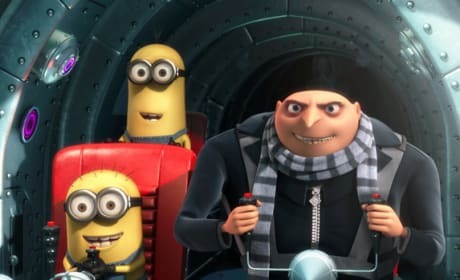 Gru in another sticky situation in Despicable Me. 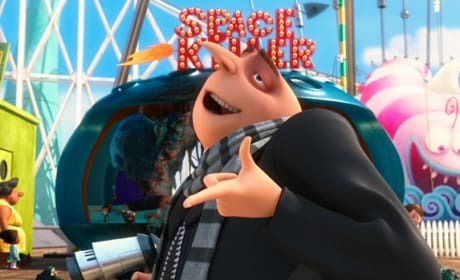 Gru gets happy at a carnival with the girls. 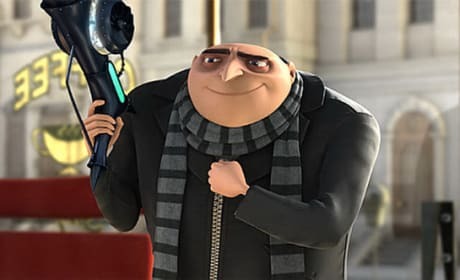 Gru with his trusty freeze ray. 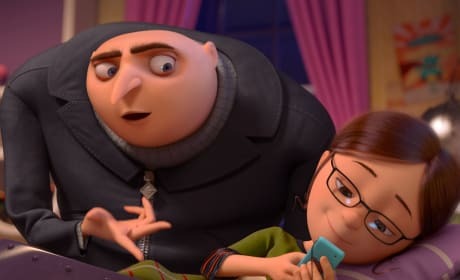 When I'm done with Gru, he's gonna be begging for mercy! [defeated by Vector] Oh, come on!